Looking for a convenient and diverse consideration of the latest development topics? You're all set with the ALDE webinars. These sessions are based on the highest rated breakouts from the ALDE IGNITE Conference, so you know you're getting the best in philanthropic thought leadership. Put these on your calendar! 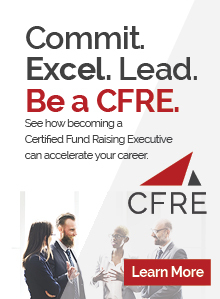 All 2018-2019 webinars have been approved for 1.0 CFRE CE point each. Download the tracker form. 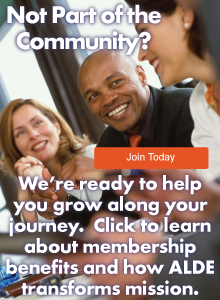 Webinars are FREE to ALL ALDE members, and we just need you to RSVP. Webinars are $75 for nonmembers. RSVP for free, or pay to attend, here. Miss a webinar? Recordings are available. View the list below and contact Jon at [email protected] for information. Building a Donor Relationship -- With WHOM? If You Confuse, You Lose. Learn How to Create Crystal Clear Communications.